One of my personal favourite features of iOS8 is Extensibility and I’m sure it’s a favourite of a majority of the developers too! Extensibility promises to add customisation, flexibility and endless boundaries to the app ecosystem. Extensibility will enable your apps to talk to each other, create widgets for the Notification Center, and develop custom system-wide keyboards, letting apps and services work together and interface with iOS and OS X as they never have before. Consider the iPhone’s camera. There are a myriad of camera apps within the App Store to take advantage of this one feature. Many users load their iPhones with dozens of camera apps in order to capture the right type of photo or add the right filter or effect to a given image. However, with iOS 8 Extensibility the camera app (and tens of thousands of other applications) can gain the internal support they’ve been missing from other 3rd party developers. Adding new abilities into Apple’s default camera app through the use of 3rd party extensions — to set focus and exposure, or to incorporate Photo Editor’s blemish touch up ability or quality pro filters — will soon be a reality with iOS 8 Extensibility. A dozen camera apps can now be easily installed into one app, cleaning up massive iOS icon clutter and making the core photo application amazingly customizable and powerful. For Apple, iOS 8 Extensibility gives their non-delete-able iOS applications additional features without Apple engineers having to write a single line of new code! One of the most intriguing aspects of Extensibility, app widgets in the Today view of the Notification Center, was demoed on stage during the keynote. A SportsCenter widget displayed sports scores and an eBay widget offered a way to keep an eye on auctions. Philips later demoed how a Hue widget might allow users to control lights directly from the Notification Center. Apple is said to be encouraging developers to keep widgets simple, with iOS 8 preventing system-intensive widgets with complex features. 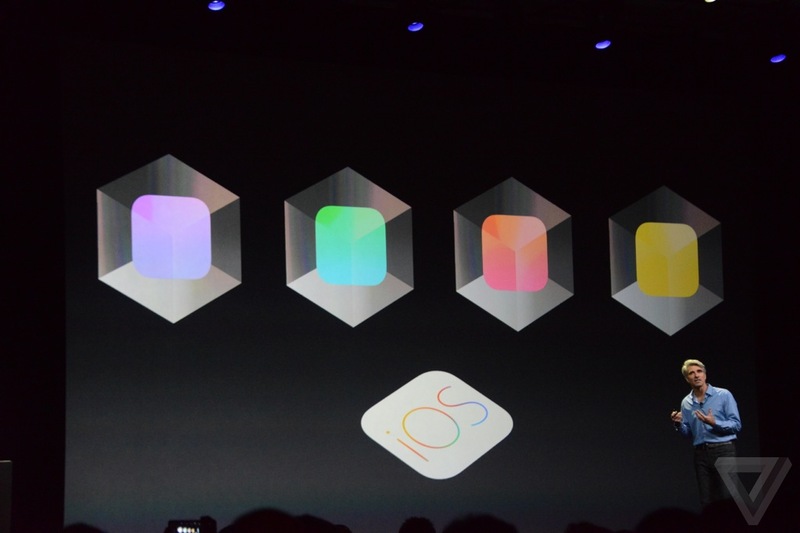 Custom keyboards, one of the major surprises at WWDC, also fall under the extensions category. Apple has, in the past, been reluctant to allow third-party keyboards due to security concerns but there are a number of precautions in place. Custom keyboards are unable to type in secure text input fields, like those used for passwords, and by default, the keyboards will not have access to keystrokes. Today, it’s difficult to quantify the impact that extensions will have on the iOS app ecosystem, but I think it’s safe to say that, considering developers’ reactions to Apple’s announcement; we’re going to see plenty of cool new stuff this fall. I'm a Business Analyst, Technology enthusiast and an Apple lover. I appreciate technology that makes everyday simpler and I'm a big believer in the new revolution that is the "Internet of Things" transforming our world as we know it.